This article will take a look at five of the best freestyle scooters currently available. We will pick them apart through quick looks at their basic stats, outstanding features, and the overall buzz surrounding each scooter. Freestyle scooters are becoming more popular among the extreme sports world. Already regularly seen at skate parks across the country, it’s becoming more important that enthusiasts have the right equipment. Let’s see which one was meant for you! The Royal Guard II Freestyle Scooter is one of the best freestyle scooters on the market for those who demand a degree of simplicity in their scooters. There’s nothing fancy about this particular vehicle, with a look that can only be described as stripped down. That’s a bonus for those who are looking for pure performance, which the Royal Guard II has in spades. It’s light enough to practice tricks easily, while still durable enough to survive a hard landing. Consider this scooter if you’re looking for something that gets the job done and nothing more. If you’re looking for the best freestyle scooter for bigger riders, this is the scooter with which you should start. 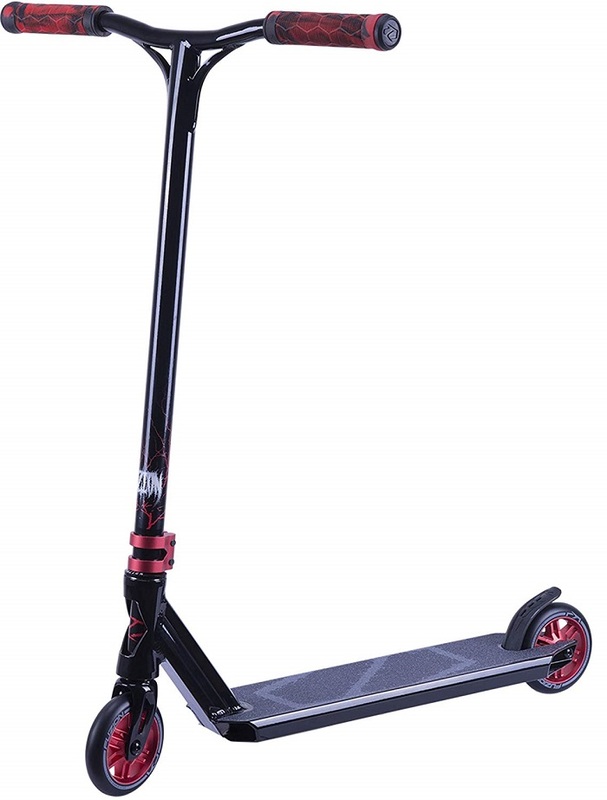 Ignore the brand name – what you really have here is a solid, durable scooter that supports riders up to 260 pounds. The scooter isn’t just about durability, though, as it boasts a very smooth control scheme. This makes it much easier to pull off some of the more advanced tricks. While marketed for riders of all skill levels, this is really a great choice for those who are still getting their feet under them. Whether you need more support or a little extra wiggle room on your scooter, this might be the choice for you. The Fuzion Z300 was built to hold to a lot of abuse. 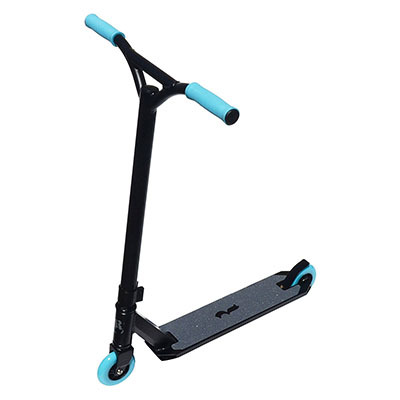 It incorporates components that you’ll usually find only in professional freestyle scooters, like wheels made of high-grade polyurethane (the tires) with aluminum core, an IHC compression system, and an aluminum box deck with flat bottom. Indeed, the deck is one of the toughest and lightest around thanks to a unique design that distributes landing forces equally when trying some of the biggest tricks. 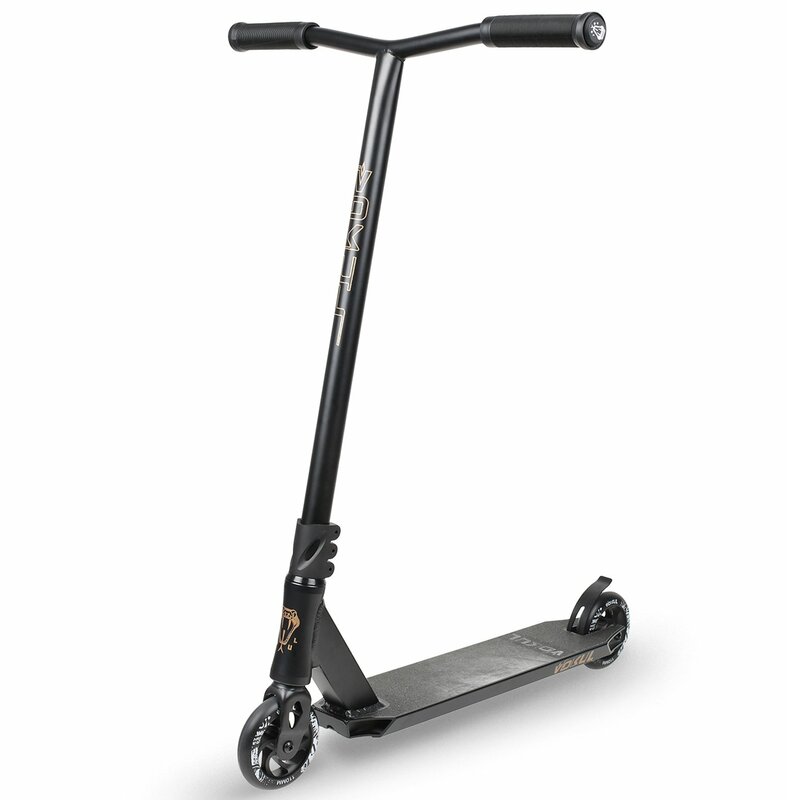 This sleek-looking scooter is geared toward beginner and intermediate level riders, but it has everything an elite scooter needs. Although it was “built tough for rough kids,” it can also be used by adult riders as the maximum weight it can hold is 220 lbs (100 kg). If you take the Lucky T-Fox Sig Pro scooter out for a spin, you’ll notice the difference right away. This is a professionally-designed scooter, and everything about the ride just feels better. There’s more stability, easier turning, and a feeling like each part is engineered to allow you to push your abilities to their limits. This scooter is also both incredibly strong and incredibly light, a combination of features that make it much easier to perform big tricks. This scooter will allow you the peace of mind of knowing that the entire frame will still be usable if you land wrong. The Envy S2 Colt Pro is hands-down one of the best freestyle scooters you’re going to find. While it’s not at the top in terms of price, it’s one of the best-looking and best-performing scooters you are ever likely to encounter. The combination of stellar engineering and common-sense construction makes this an effortless ride. Even novices can use it for the basics. At the same time, pros can also employ this model for some of the more difficult tricks. This is the perfect transition scooter, especially if you are considering making the leap to the professional level. Consider the Envy S2 if you really want to take your tricks to the next level. If you are tired of your Razors not holding up and falling apart, then the VOKUL K1 Complete Pro Scooter is just what you need. Selling at a very accessible price, this freestyle scooter will make a wonderful upgrade for any 7 year old or older riders as the thing was built to last. The K1 one has everything an elite freestyle scooter has at a fraction of the price, which made it our number one pick. It comes with ABEC-9 bearings and a 6061 aviation-grade aluminum bar and deck that was heat reinforced for extra sturdiness and durability. The wheels are high-quality as well (110mm 88A high-rebound PU). So, don’t confuse this bad boy with a toy. 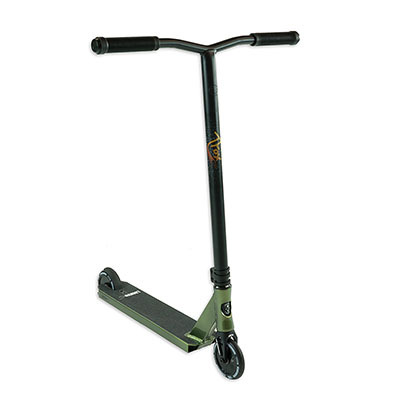 It is a full-fledged pro freestyle scooter that can be used by kids and adults alike. You won’t be disappointed. Thankfully, scooter maintenance isn’t all that tough. It is, however, imperative that you take the few bits of maintenance that are necessary very seriously. Always check your tires for cracks and chips before your ride. Never ride without checking to make sure the handlebars are secure. Consistently oil any moving parts after the scooter has been in storage. Never leave your scooter out in the rain or intense heat. These are some of the best freestyle scooters you can find on the market today. Some are better for beginners, while others really shine in the hands of experienced riders. No matter where you fall, though, there will be a great scooter on this list for you. But if you’re already a seasoned rider you probably already have your own knowledge. Don’t keep it to yourself – let us know what you think by dropping us a line in the comment section below! I am not sure what to say the best freestyle scooter is around based on my experience with them alone. But I do like them because they are so simple to maintain. The point is they all have to be maintained or else you will have major problems. That’s right, Darren! No matter how prestigious the brand is or how high-quality the materials are, no scooter will last for long without some consistent maintenance. It doesn’t have to be a big effort, just some checks and lubrication will do. Have you given Envy S2 Colt Pro any thoughts? You’ll get a cool design and a silent scooter to hear only the wind in your ear. Follow our Best Go Kart Reviews for more similar reviews! 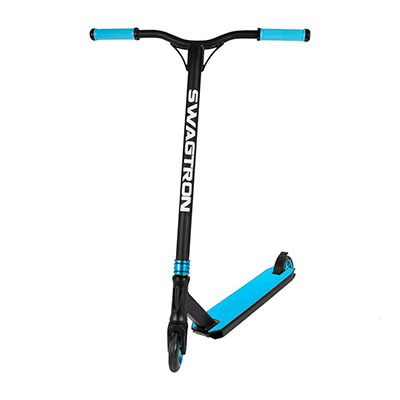 I really like the Swagtron Stunt Scooter because it is sturdy and has a good price. What I like about it as well as that the maintenance is very easy, and it is also cheap to maintain as well. I give it a 10. Hello, Emily! And on top of having the assurance that this scooter will last for a long time, you can also get some really awesome tricks out of it. Like our Facebook page to stay tuned to the latest scooter recommendations! I have nothing to go by, but I have heard a lot of great things about the Envy S2 Colt Pro freestyle scooter from several people. If I am seriously looking into getting a scooter, I may go with this option. Hey, Allan! Welcome at Best Go Kart Reviews. Based on specs and user reviews, there’s no better start to have than with this Envy model. Thanks to the tech that powers this scooter, you can even get to practice some wicked moves at the skatepark. Hope this helps! I don’t think that the Fuzion X-3 Pro Scooter is all that ideal for newbies. Yes, it may be affordable but you have to be more of a pro before making the decision to settle on this particular scooter. That is my 2 cents. Hey, Kliff! Thanks for sharing your experience with us. I’m glad we are on the same page and find this model just ideal for performing some of the more complex tricks. I am in complete agreement with the fact that the Envy S2 Colt Pro is the best freestyle scooter around. Nothing else can beat it, by effeciency, affordability, and it is just so much fun. It deserves a thumbs up all the way. Thanks, Duane, for your feedback on the Envy S2 model, greatly appreciated! Three of my friends are proud owners of the Swagtron Stunt Scooters and considering that it got a high Amazon rating of 8 out of 10, I can see what the big deal is about. They rave about it and I see why now. I know, right? Glad you’re on board with our opinion! Thanks for stopping by! I am looking for something very simple so I like how the Royal Guard II Freestyle Scooter sounds, even though it was not rated the highest. But maybe the fact that it does not have bells and whistles did not mesh well with some people. It’s right for me though. Which freestyle scooter do you recommend for a newbie? I’ve never been on one but I know plenty who love it. I want to join in so how do I find out which is the best one for a beginner? Looking forward for your reply. Hi Sasha! We recommend the Swagtron scooter for someone who’s just starting out. 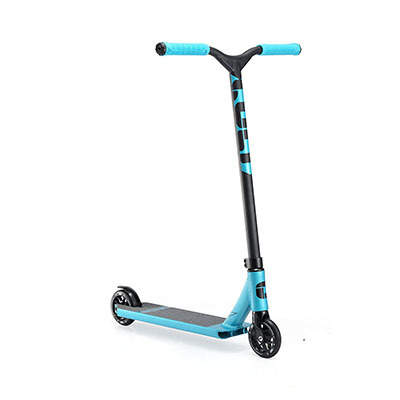 In general, beginners should look for scooters that are kid-friendly since those are the safest for any newbie. I have experience with both the Royal Guard II Freestyle Scooter and the Lucky T-Fox Sig Pro freestyle scooters. I have to say I liked Royal Guard a lot better as I found it easier to use than Lucky T, and yet Lucky was rated higher. Go figure. The Royal Guard II Freestyle Scooter is pretty cool and it really does get the job done as you described it. It is really fun to use. But I am not sure if this is an ideal choice for a newbie. I found that the Lucky T-Fox Sig Pro was a lot more user-friendly than the Envy S2 Colt Pro. I am a bit surprised that the Envy scores higher, but I also know that not everyone is going to agree with me in general. Don’t bum yourself down Bryn – we agree that the Lucky is more user-friendly, but the Envy is overall better. have a good one! I have read about all of these freestyle go karts and they all sound cool. Now the challenge for me is to choose the best one for me and I have no idea how to even begin to shop for one. Freestyle scooters look fun, and I have never ridden one before. That means I am also wondering which one on this list is ideal for beginners? Because I would have no idea how to use one properly. Can you give me advice?